On Wednesday, February 20, the U.S. Department of Commerce released a report revealing that real estate activity – particularly in the area of housing starts – has taken off slower in 2013 than expected. 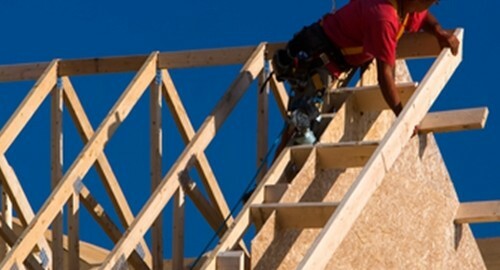 According to government data, housing starts dropped 8.5 percent in January. Although this is still the third highest level since 2008, it comes after a 15.7 percent increase in December 2012. New-home construction hit a rate of 890,000, down from 973,000 the previous month. With this information in mind, it's no surprise that the National Association of Home Builders announced earlier this week that builder confidence has declined to 46 in its February NAHB/Wells Fargo Housing Market Index. This is the first time it has fallen since April 2012. Analysts say they are disappointed by these numbers, reports USA Today, as they were hoping for more significant momentum to fuel the housing market's recovery. Still, some economists, like macro strategist Millan Mulraine of TD Securities, a financial services provider, suggest that a slower pace might not be a bad thing. "On balance the moderation in starts activity can be seen as a welcome development for this sector as it will bring the level of construction activity closer to a pace that is more sustainable and consistent with the current tone in the economic recovery," Mulraine said, according to MarketWatch. In spite of this most recent data, USA Today reports that there are still clear signs that the housing market is improving, such as a decrease in foreclosures and jump in home sales. Evidence suggests that 2013 is looking to be a better year for people to buy and sell homes. With this in mind, it's a good idea for lenders to make sure they have quality loan management software in place. Along with an amortization calculator, this can help guarantee that any repayment plans designed for hopeful homeowners fit within their potentially tight budgets.